The Grundfos Redi-Flo2 w/115/230v Variable Performance Pump combines state-of-the-art technology into a light, compact and yet powerful submersible pumps for precise, accurate, and reproducible groundwater sampling. 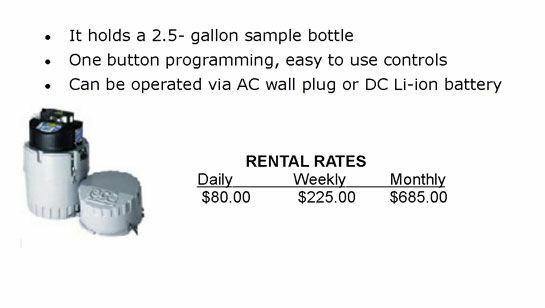 Comes with a 200 foot lead. Can pump at rates up to 12 gpm. The GLS Sampler is designed to collect composite samples for general purpose monitoring. Deployable for remote sampling of outfalls and manholes. 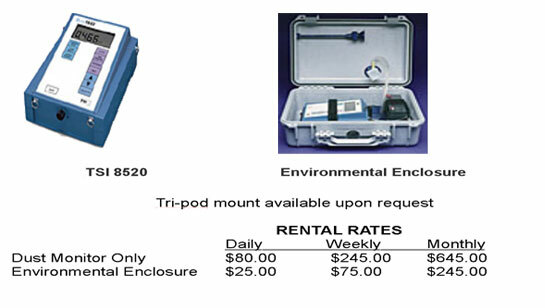 The DUSTTRAK™ Aerosol Monitor is a portable, battery-operated laser photometer with real-time mass concentration readout and data logging capability.The monitor provides reliable exposure assessment by measuring particle concentrations corresponding to respirable size, PM10, PM2.5 or PM1.0 size fractions. 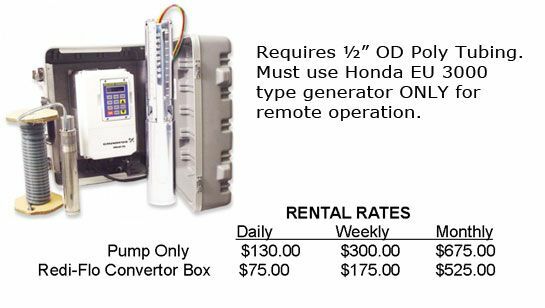 HOTZONE Environmental rents and sells environmental monitoring equipment, parts and supplies. HOTZONE is a woman-owned small business located in the Teays Valley area of West Virginia. HOTZONE is a small business dedicated to providing a high level of service and customer satisfaction. HOTZONE represents only the best manufacturers of equipment and supplies. 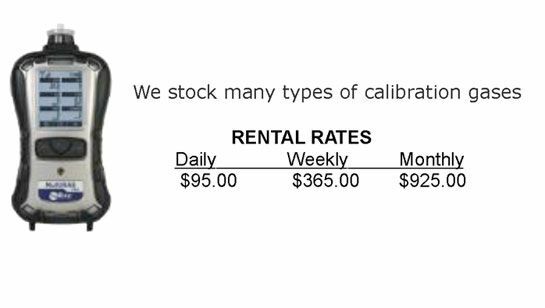 We keep our well-maintained fleet of equipment calibrated and ready to go. HOTZONE continually adds new products to our inventory in order to meet industry demands, as well as our customer needs. Should you not see what your looking for on our site, let us know. We'll be glad to help with any questions or concerns you may have.